Trampled By Turtles appear in the MontBleu Showroom on Thursday, June 21. Deer Tick opens. A stampeding herd is on its way to Lake Tahoe, but these critters are slow-paced Testudines so they won’t arrive until Thursday, June 21. That’s the Summer Solstice, for those keeping track. Trampled by Turtles, a bluegrass quintet from Duluth, Minnesota, will play in the MontBleu Theatre on June 21. Tickets go on sale at 10 a.m. Wednesday, Feb. 14. Americana band Deer Tick, from Providence, Rhode Island, will open the show. Deer Tick appeared at last summer’s High Sierra Music Festival. 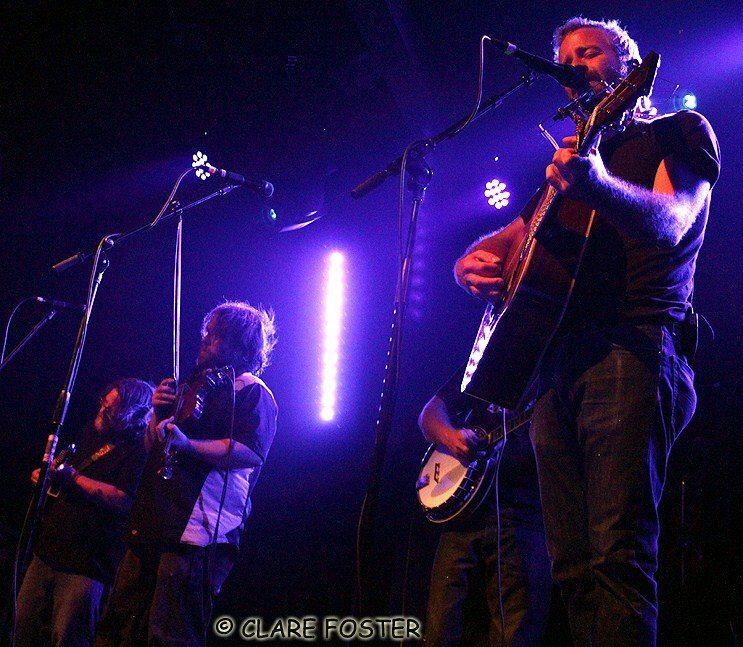 Lake Tahoe music fans have witnessed the Trampled by Turtles speedy ascent. It debuted at the Crystal Bay Casino in 2006, playing in the CBC’s smaller stage, the Red Room. A few years later, the band sold out a ticketed Crown Room show on a Wednesday night. It played the 2014 High Sierra Music Festival. In 2016, it was the first band to sell out the expanded Crown Room. Trampled By Turtles is Erik Berry (mandolin), Dave Simonett (guitar), Dave Carroll (banjo), Ryan Young (fiddle), Tim Saxhaug (bass), and Eamonn McLain (cello). The band formed in 2003, after Simonett had his electric guitar and amplifier stolen from a gig. One of the band’s main identifiers is a laid-back, no-boundaries approach to string music composition and performance. “I think what sets us apart, is that we act like we’re in a rock band,” Berry said. “If I have an idea for trying something musically, I’ll try it, and it will or it will not work, but no one’s going to sit down and tell me afterwards, ‘Hey, that’s not something Mr. (Bill) Monroe did so maybe you shouldn’t do that.’ That sort of boundary or restriction or guidelines just simply isn’t present. “We are still playing all those instruments, so how far away from that string-band sound can you actually get?” Berry said, noting that he incorporated a number of effects pedals into a recent show.